The Intergovernmental Panel on Climate Change (IPCC) Fourth Assessment Report identifies the need to make social-ecological systems more resilient by building “adaptive capacity”. 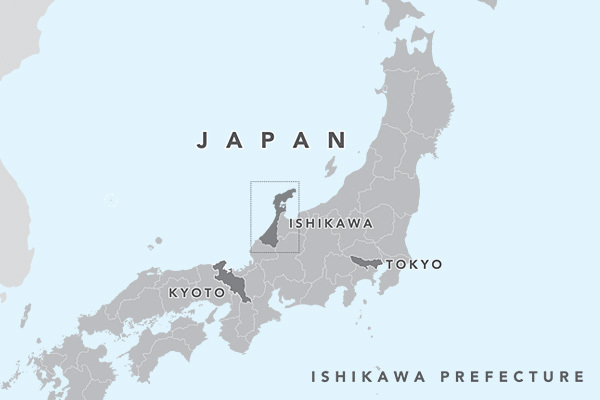 One of the numerous marine socio-ecological systems in Japan that has attracted our research attention is in Ishikawa Prefecture. Stretching along the Sea of Japan, the Ishikawa coast benefits from a number of diverse and contrasting coastal zone ecosystems exhibiting different physiographic, topographic and geomorphologic characteristics. From the northern (Noto) to southern (Kaga) districts, a large percentage of Ishikawa’s population depends on coastal and marine ecosystems and resources for their livelihoods, and major socio-economic activities like fisheries, tourism, shipping and agriculture depend on these resources. 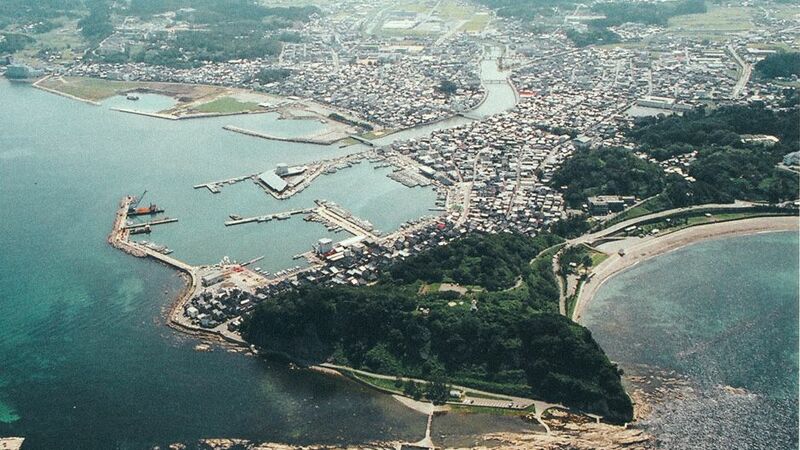 The Noto area in particular is acclaimed as one of the largest fisheries development ports in Japan. Generally, Ishikawa’s climate can be described as being humid, wet and hot in summer and rainy and receiving lots of snow in winter. However, over the years the coastline has experienced rapid and serious erosion due to the combined effects of natural and anthropogenic factors. In the course of our recent study, we found there were significant spatial and temporal changes in some water quality parameters in the last three decades. It is expected that with differences in land use and human impact along the coast, coastal water quality may continue to degrade in these highly contrasting coastal systems. Our analysis found that chemical oxygen demand, an environmental quality standard for the conservation of the living environment and typical water quality indicator for organic contaminants, varied significantly along the coast. Also, over the last three decades, hydrogen ion concentration (pH) has dropped between 0.13–0.20 units, suggesting that the coastal waters have become more acidic due to a relative shift in pH to a lower value. When carbon dioxide is absorbed by seawater, chemical reactions, known as ‘ocean acidification’, occur that reduce seawater pH, carbonate ion concentration, and saturation states of biologically important calcium carbonate minerals. Calcium carbonate minerals are critical because they are the building blocks for the skeletons and shells of many marine organisms at the bottom of the food chain. Thus, it is believed that this resulting decrease in pH will have negative consequences, primarily for oceanic calcifying organisms such as coccolithophores, corals, foraminifera, echinoderms, crustaceans and molluscs. There might be a number of reasons for this. “It is possible that the Sea of Japan is one of the first expanses of water affected by global warming, if that is the case, then we very much fear that eventually the world’s major oceans will also be affected,” Prof. Yoon Jong-Hwa of the Research and Institute for Applied Mechanics (in Fukuoka on the Sea of Japan) told Reuters News Service in 2001. The main vulnerable areas of the coast, from the point of view of water quality, seem to be the southern (Kaga) district where rapid and serious erosion is due to the area’s sizeable industrial centres and port developments. Living and non-living resources of the Ishikawa coast, including fisheries, have been grossly impacted by human-induced environmental changes brought about by invasive species like jelly fish, coastal development and an ageing population which has seen the numbers of fishermen drop. While one might assume that less fishing would allow fisheries to bounce back, on the contrary, this may have far-reaching implications on a complex and human-impacted ecosystem like the Ishikawa coast that has come to require human attention and increased management. Overall, the area has seen decreased management of natural resources and an alienation of humans from the sea. One indicator of interest is that there has been a 45% reduction in the number of fisheries management bodies in the region between 1965 and 2000; a similar trend that has continued within the last decade, according toIshikawa Prefecture annual statistics. This alienation is a current challenge to the concept of satoumi. As discussed previously on Our World 2.0, satoumi is defined as coastal areas with high productivity and biodiversity enhanced through human management. Satoumi has long sustained not only productive and distribution activities, but also a rich culture and inter-cultural exchange characterized by rich productivity and biodiversity. This integrated management of terrestrial and coastal areas has contributed immensely to maintaining material cycle functions (such as nutrients like nitrogen, phosphorus) and thus, rich and diverse ecosystems and their services. Despite the apparent declines in coastal environmental quality in Ishikawa, in Japan overall, the number of confirmed sea pollution cases declined 82% from 2,460 (of which 2,060 are oil-related) in 1973, to 425 in 2004 (see figure). Although specific data for Ishikawa Prefecture is not reported here, it is assumed that this reported trend cuts across Japan. Source:Japan Coast Guard, Ministry of Environment. This decreasing trend of sea pollution has been achieved through various programmes since the Marine Pollution Prevention Law was enacted in 1970. The discharge of noxious liquid substances by ocean-bound vessels has been regulated by a national law, which corresponds to the Protocol of 1978 relating to the international convention for the prevention of pollution from ships (the Marpol 73/78 protocol). Also, a water pollution control law has been enhanced and includes a system to notify specified facilities, wastewater regulation common to the whole country; continuous monitoring of water quality; a Total Pollutant Load Control System for closed sea areas and measures for domestic effluent. More recently, in 2008, Japan’s Ministry of Environment (MOE) launched the Japan Sea Satoumi Policy Initiative, working with local municipalities, prefectural and regional government officials. Ishikawa’s Nanao Bay has been selected as one of the four official sites chosen for the Satoumi Pilot Project. Then in early 2011, MOE formulated the Satoumi Guidelines to aid in the implementation of a national strategy for “Creation of vibrant local communities that make use of natural resources”. One of the main components of this strategy includes the “Development of abundant satoumi areas” and other related targets such as conservation, restoration and creation of seagrass beds and tidal flats; water pollution measures; and sustainable resource management. However, satoumi landscapes are being confronted with a variety of threats and there continues to be an alienation of people from the sea, due to land reclamation, factory construction, etc. Further, in enclosed seas, a decline in material cycle functions has led to disruptions in the nutrient balance and the deterioration of marine resources and ecosystems. Over the years, there have been changes in the practices of satoumi especially in the conservation of watershed forests, conservation and use of satoyama forests, coastal forests and uses of marine resources (salt, seaweed, sea litter, medicine, fuel). These cultural services that are an important category of coastal ecosystem services and local sea-related culture, a major feature of satoumi, are declining. An effective positive policy drive in this direction would be to further promote coastal conservation by local stakeholders through satoumi initiatives. To achieve this, a balance must be struck in the current dominant bottom-up approaches with adequate top-down policy, especially for sustainable management of the fisheries resources. Larger stakeholder involvement, would also need to be ensured, as well as the promotion of awareness among the younger generation who are going to be the future custodians of existing satoumi landscapes. Finally, water quality policy, which reflects dynamic social values and scientific understanding, should evolve flexibly to reflect the local context too. 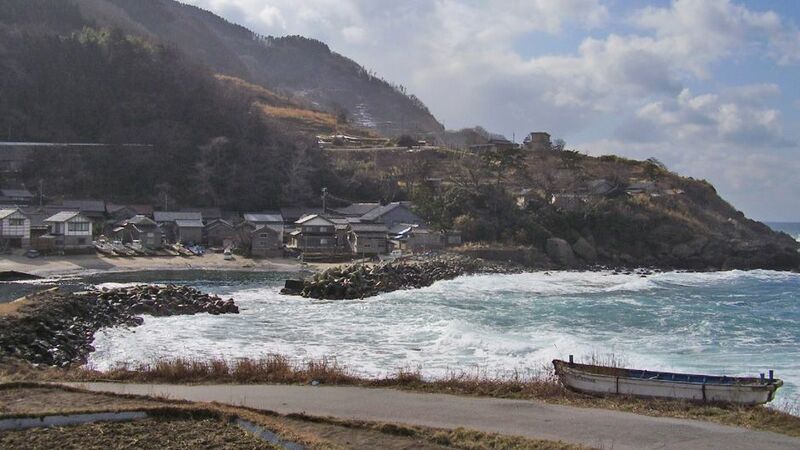 Thus, based on the dynamic spatial characteristics of Ishikawa coastline, decision-makers should ensure that Ishikawa’s coastal planning/zoning accommodates livelihood and economic changes that accompany changing biodiversity and fishing regimes, sea-level rise and erosion. Though there is a uniform approach to the development of water quality standards in Japan, stricter standards may be required by prefectural governments in collaboration with industry, stakeholders groups and coastal community resource users. For such strategies to be most effective in maintaining coastal water quality, continuous monitoring of coastal developments and activities should take place. The Changing Socio-ecology of Japan’s Ishikawa Coast by Julius Ibukun Agboola is licensed under a Creative Commons Attribution-NonCommercial-ShareAlike 3.0 Unported License. Julius Ibukun Agboola recently concluded a postdoctoral fellowship programme at the UNU Institute of Advanced Studies (UNU-IAS) having worked and conducted research with the UNU-IAS Ishikawa/Kanazawa Operating Unit on marine governance and coastal management and satoumi related studies. He currently lectures and carries out research at the Department of Fisheries and the Centre for Environment and Science Education at Lagos State University in Lagos, Nigeria. Agboola is intrigued by how humans can better relate with the sea for sustainable use and management of marine resources, exploring the synergies between land and ocean, and socio-ecological systems variations and environmental change impact on coastal systems. He holds an M.Sc. in Environmental Resource Management and a Ph.D. in Environmental Science from Hokkaido University, Japan.